Oral cancer checks are regularly performed at Beach Smile Dental in Redondo Beach at each examination. The aim of the check is to discover any signs of cancer in your mouth early, so that medical treatment can begin as soon as possible. During each dental examination, At Beach Smile Dental our dentist look for any signs of changes in your soft tissues such as tongue, floor of mouth, lips and cheeks, which may put you at risk of cancerous changes in the future. If you have any unusual lumps or lesions in your mouth that have been there for more than two weeks, or have had difficulty swallowing for this time, alert your dentist so that a more thorough examination can be undertaken. Oral Cancer We believe in vigilance for oral health. That’s why we at Beach Smile Dental in Redondo Beach we offer oral cancer screenings as part of our routine dental examinations. Oral cancer is characterized as any cancerous tissue growth found in the oral cavity. At Beach Smile Dental, in Redondo Beach we use visual and in-depth screenings as a way to determine if you may be at risk for oral cancer. We will thoroughly check you for lumps, bumps, and lesions. 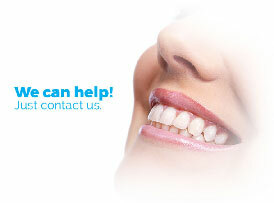 We also perform biopsies on areas that concern us to ensure we take every step necessary to secure your oral health.